Rockstar Games’ long-awaited Red Dead Redemption II has just released their third trailer in anticipation of the game on October 26th, 2018, sending fans into much hype about the games arrival. The Western action-adventure open world game is a prequel to 2010’s Red Dead Redemption, and it will be the third game in the series, available on PS4 and Xbox One. The game is set in the backdrop of the story of outlaw Arthur Morgan, a member of the Dutch Van Der Linde gang in 1899, at the turn of the century in the waning years of the American old west, where outlaws and gunslingers are in their last days. There are also some returning characters from the previous game, such as Dutch Van Der Linde and former main character, John Marston. Here’s the trailer that’s making gamers very excited to draw out their money to buy this on release! With a compelling storyline and plenty of violence, coming a full eight years since the last title release, this game is sure to live up to expectations. In the game, Arthur functions as a debt collector for the Van Der Linde gang, so that along with robbing banks and using physical intimidation will be some of the things that you’ll be getting up to in the new adventure of Red Dead Redemption II. Rockstar Games added some background history for the game, since it’s a prequel to the 1911 setting of Red Dead Redemption, as follows: ‘America, 1899. The end of the wild west era has begun as lawmen hunt down the last remaining outlaw gangs. Those who will not surrender or succumb are killed. 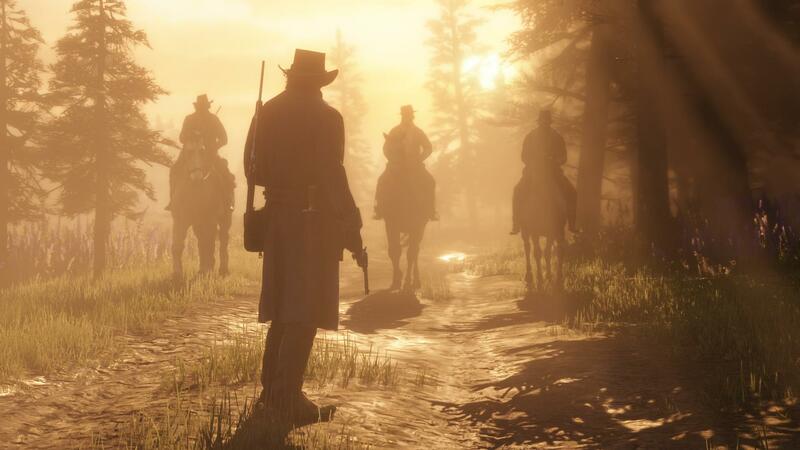 Red Dead Redemption II will feature a lengthy single player campaign mode, as well as a highly improved online mode, with people pining their hopes on an even more combative and visceral online open world experience, where it’s a Western “free for all” of total survival against other players. So, get ready to draw your revolver pistol on October 26th, 2018, before riding off into the sunset with a PS4 or Xbox One version of this hotly anticipated game. Pre-Order Red Dead Redemption II for PS4 here! Pre-Order Red Dead Redemption II for Xbox One here!